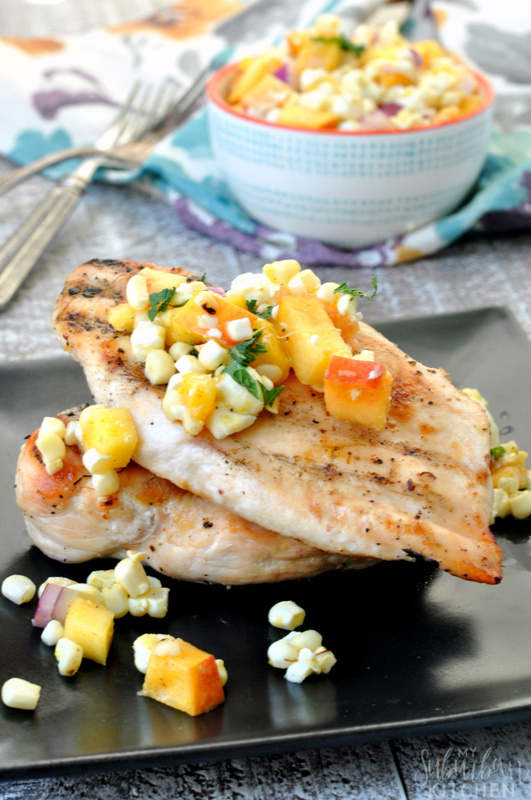 On my current list of favorite things: peaches, corn and grilled chicken. 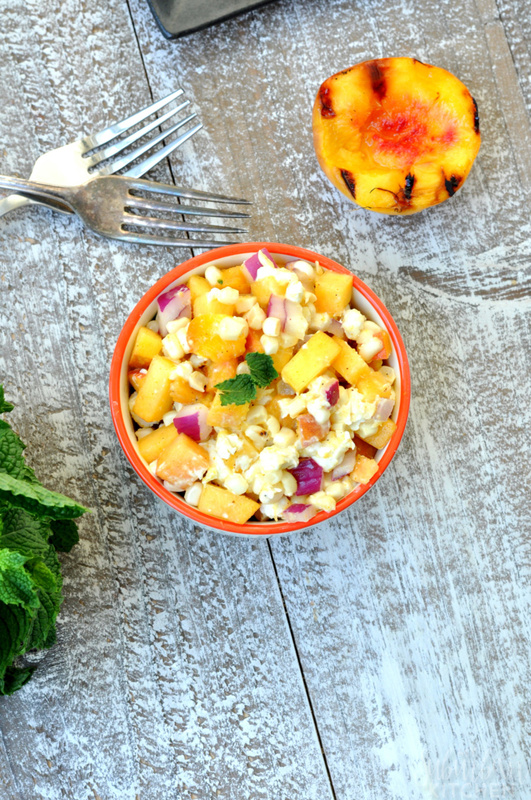 Typically, I wouldn’t have that all together but, with this curried peach corn salsa, I just had to grill up some chicken to put it on top of! The salsa is amazing with chips of course but I love it as a topping to grilled chicken, pork or even fish. I used fresh summer corn and peaches for my salsa. If you wanted to make this on the off season, you could definitely use canned peaches but just make sure you dry them before you mix everything together. Our stores sell charred corn in the freezer section which would also be perfect. 1. In a small bowl, whisk together lime juice, oil and curry powder. 2. 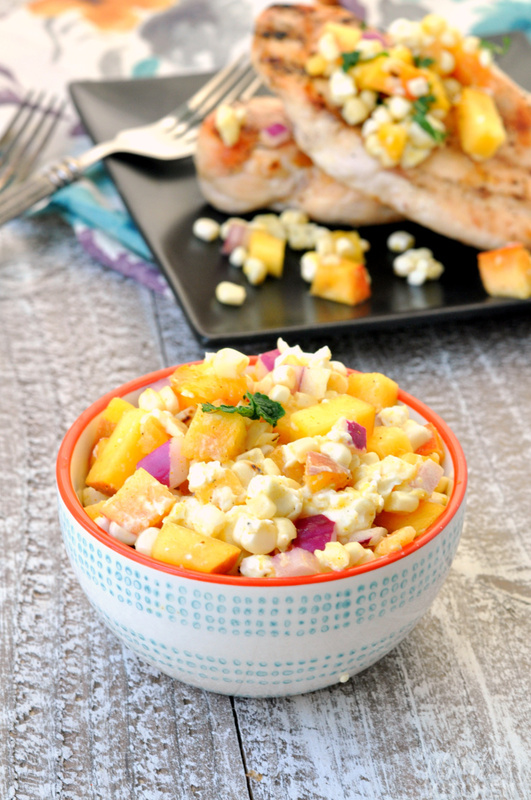 In a large bowl, combine corn, peaches and red onion. Stir to combine. Add dressing and toss to mix. Top with goat cheese and fresh mint. The flavors in this salsa are amazing. While it does have curry powder in it, the curry taste isn’t overwhelming and will still be loved by even those who claim to “not like anything curry.” You could easily substitute feta for the goat cheese if you like but I think the creaminess and slight tang from the goat cheese is the perfect addition. In a small bowl, whisk together lime juice, oil and curry powder. 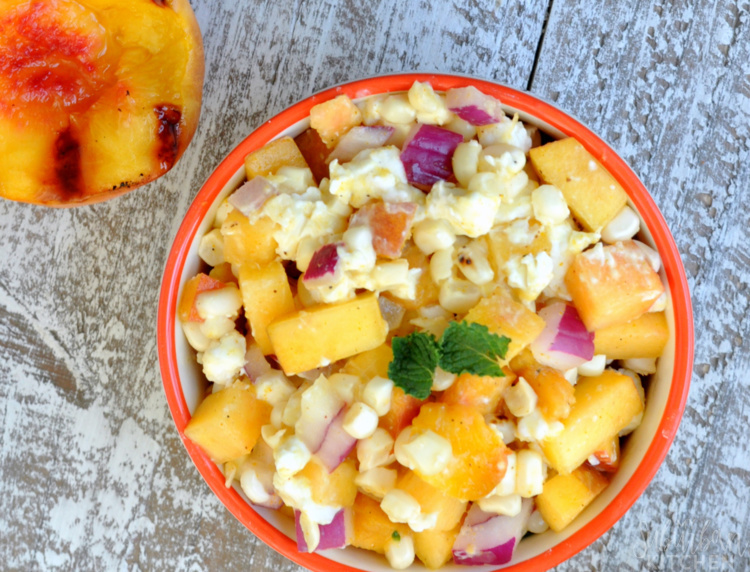 In a large bowl, combine corn, peaches and red onion. Stir to combine. Add dressing and toss to mix. Top with goat cheese and fresh mint. Thanks so much! I hope you enjoy it.